As we have blogged before, Essex Heights Primary, the school that our kids go to, has a large music program. They put on a Showcase every year, where the students show off their skills on violin, flute and marimba. 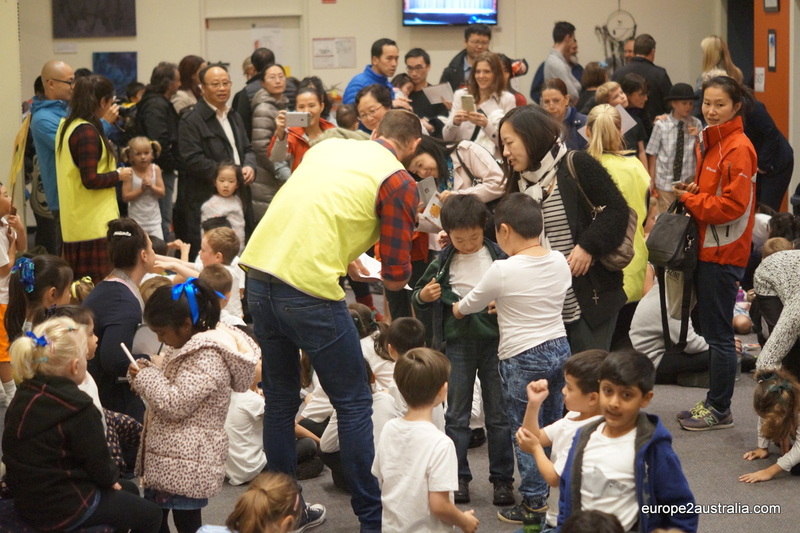 Last year, one of the teachers had the idea that it would also be fun to do something with dancing, and they put together a dance show for the parents. It was such a success that they did it again this year. As with Showcase, putting on a show is more than just standing in front of a bunch of a lot of parents in the school assembly hall. It’s considered part of the education program that the students get used to being on stage, in front of a lot of people and with bright lights turned on them. It builds self confidence, teamwork and teaches work ethics. So, as expected, this affair took place at a proper auditorium in one of the local secondary schools. 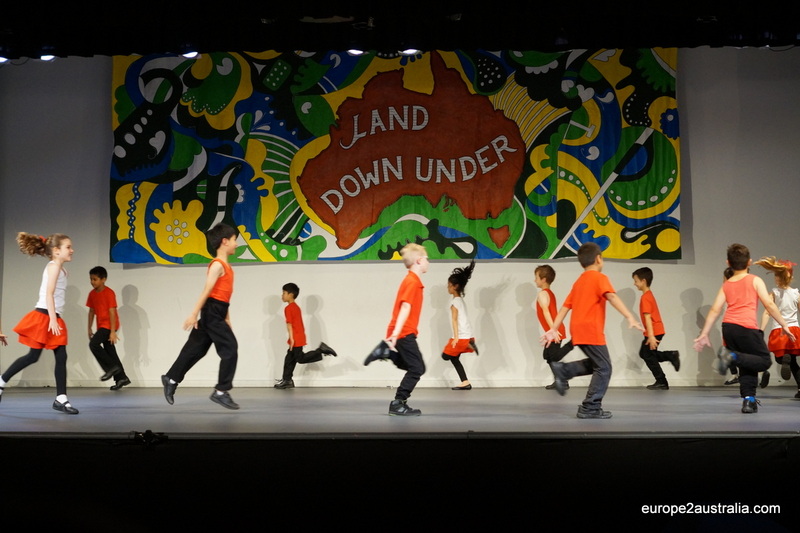 The show had the title “Land Down Under” (as in the song). 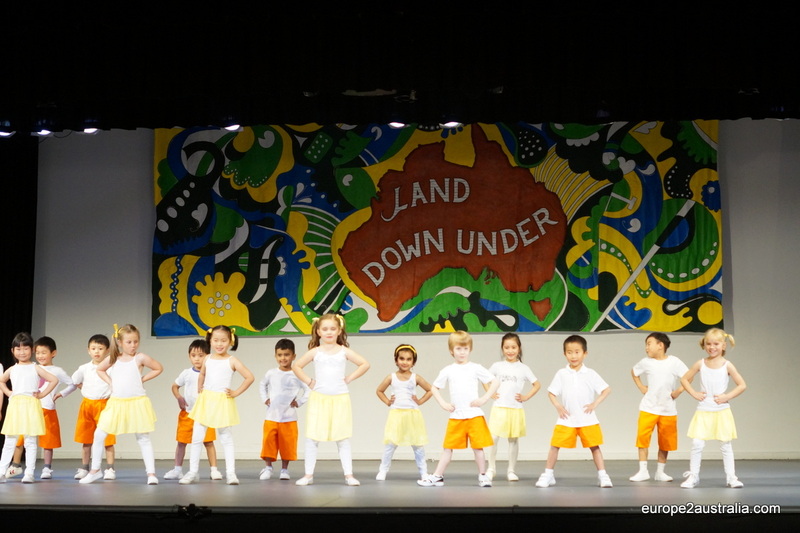 The students were divided according to age and performed dances that were (loosely) based on the different regions of Australia. It was all tied together by a returning story of a family trying to decide where to go for vacation, being unable to make up their minds. 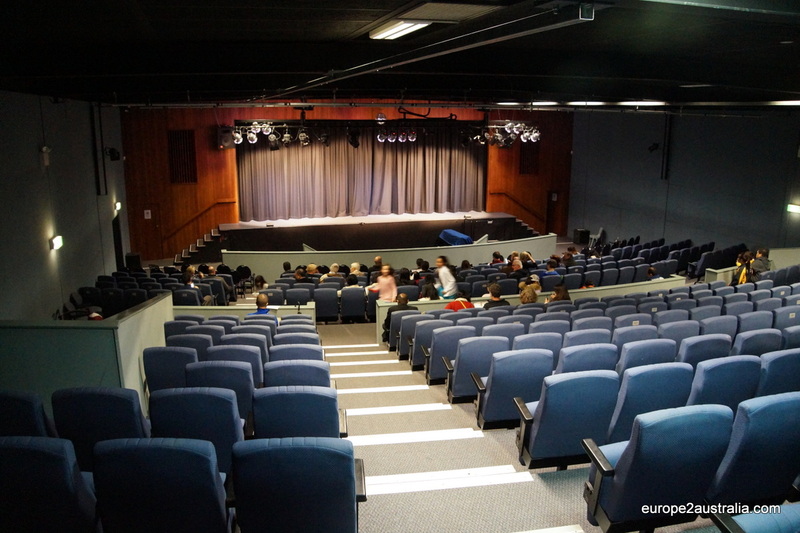 Due to the size of the auditorium and the classes, the students were divided in half. One half had their show on Monday, while the second half had theirs on Tuesday. All in all, again very professional. When we got there, the foyer was already packed with teacher and students. 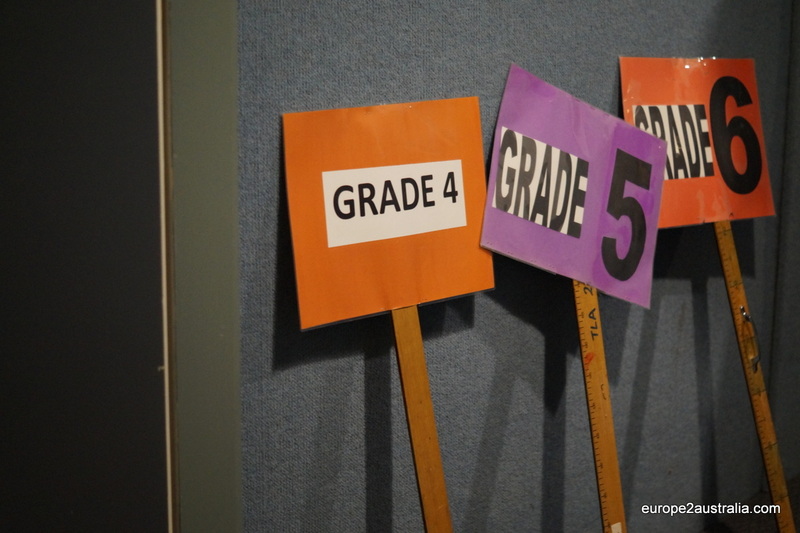 Finding where to drop off the kids was made easy by big signs for the different grades. 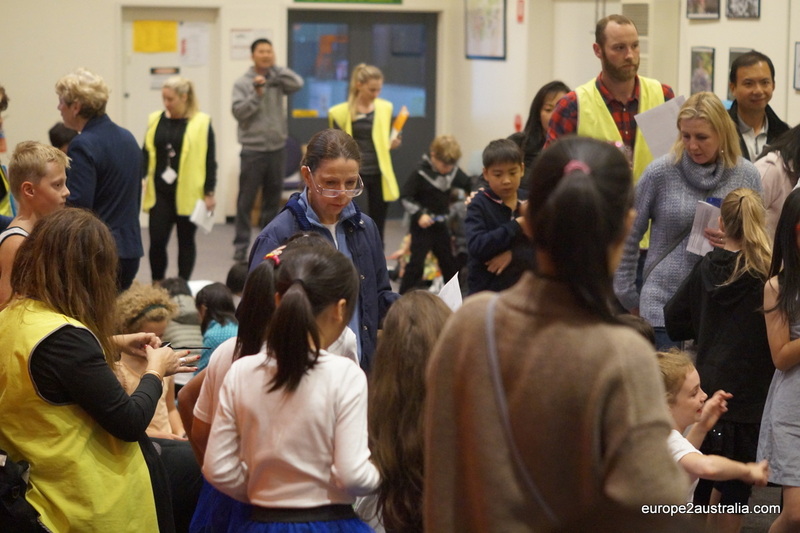 There were a lot of teachers helping with the preparations (easy to spot in their yellow jackets). Although some of the older girls didn’t really need the help anymore. 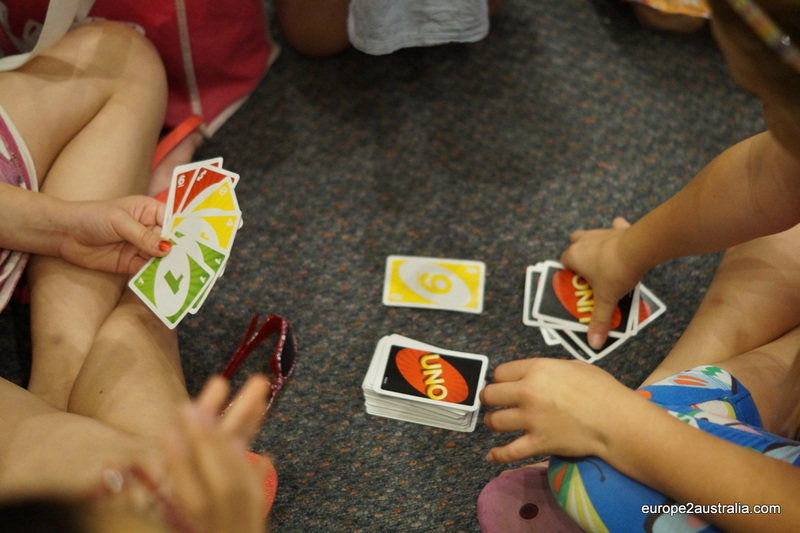 The waiting time to go on stage was made shorter by playing games and doing other activities. The auditorium held about 400 people and the tickets for both nights were all sold out. The preps brought smiles to a lot of faces. But even they were formidable dancers. The older students added some more choreography to the performance. The entire thing took about an hour and a half. Just long enough to be a “proper” night out, while being short enough that the kids could get back home in time for bed. I am still amazed at how well organised the whole affair was and how well it was executed. It is hard to believe that this was done by children between 5 and 12. As with Showcase, this is definitely something the European schools could learn a thing or two from. Super leuk om te zien!! Inderdaad groots aangepakt weer. Goed gedanst hoor, Kai en Luka! We konden jullie snel ontdekken op het podium.